This radio was the most technologically advanced table model of its day. Eleven tubes, with a huge 10" speaker. 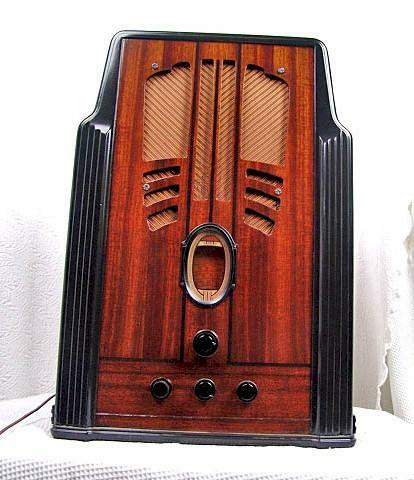 It rocked the competition, and was Philco's top end table radio. Completely restored inside and out, and my usual warranty applies. An Industry milestone. It does need a long wire antenna (provided). 24"H x 17"W x 12"D.
You are visitor number 5,890 to this page.